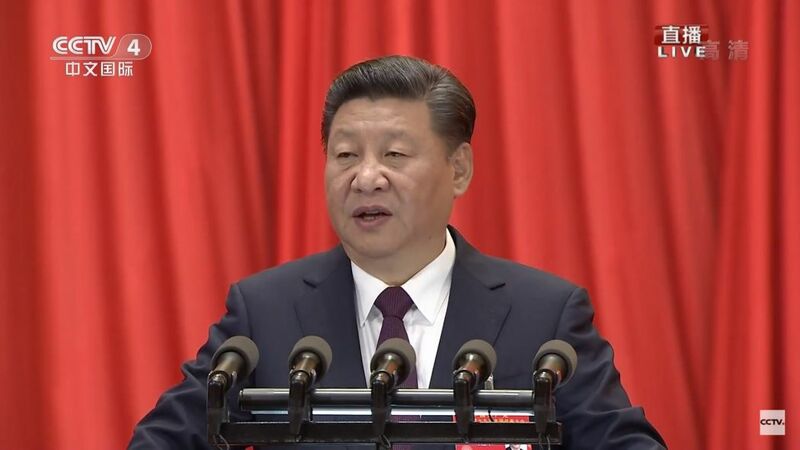 As Chinese leader Xi Jinping delivered his three-plus-hour speech at the Communist Party congress, delegates ranging from men in suits to military officers and former presidents dutifully turned every page as they read and listened to his words. On the internet, government bureaus peppered social media with their favourite phrases from Xi’s speech, while photos circulated of children watching Wednesday’s congress in classrooms. The carefully orchestrated address was in keeping with the cult of personality that state media have crafted around the Chinese leader, who is expected to consolidate his already formidable power at the week-long conclave. During his wide-ranging monologue about China’s achievements and challenges ahead, Xi stood behind a glossy wooden lectern, resting both his palms on the stand and occasionally sipping from a white ceramic mug. The majority male audience of nearly 2,300 delegates inside the imposing Great Hall of the People in central Beijing would interrupt their collective page-turning to applaud key sections of the speech. 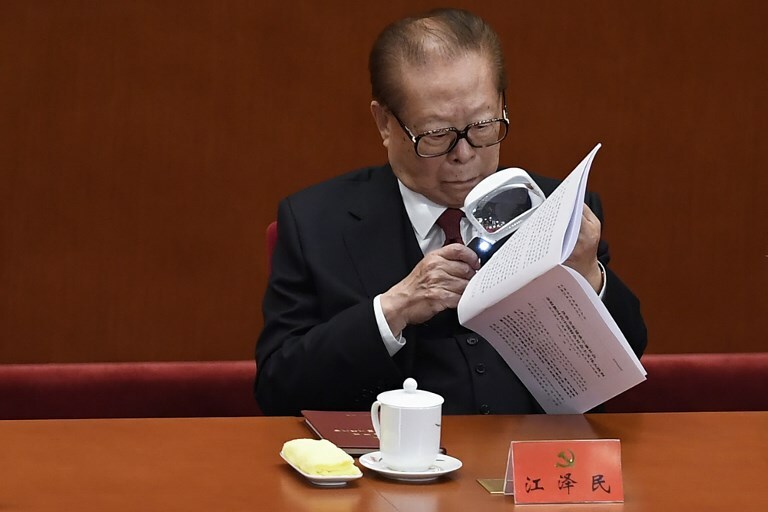 Jiang Zemin, the 91-year-old former Chinese president, was seated prominently on stage and used a large magnifying glass to study the document. China’s former president Jiang Zemin reads the script of a speech as he attends the opening session of the Chinese Communist Party’s Congress at the Great Hall of the People in Beijing on October 18, 2017. Photo: Wang Zhao/AFP. He also conspicuously checked his watch several times. “My god, 3.5 hours – what hard work,” said a commenter on the Weibo microblogging platform, one of millions of citizens who were following the proceedings on social media. Xi touted his nationalistic “China dream” slogan, and heralded a “new era” that will see “China moving closer to centre stage and making greater contributions to mankind”. When he concluded his speech — which was twice as long as the one given by his predecessor Hu Jintao in 2012 — the delegates applauded enthusiastically as Xi took a bow. On the promenade of Tiananmen Square outside, delegates strolled toward cars and buses to return to their hotels. Only a smattering of women could be seen in the crowd, including some in traditional ethnic minority costumes. “Your dress is so beautiful. You’re so beautiful!” one male delegate exclaimed to a woman representing the Yao minority in Hunan province. Others quickly brushed past journalists or asked reporters where they were from before accepting interviews. “The speech was extremely good. 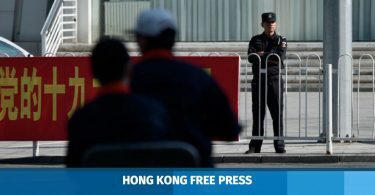 The most important part was the idea of a new era, with everything getting better and moving forward,” a delegate from Henan province told AFP, declining to give his name. “I think Xi’s thoughts should be included in the (party) constitution,” he said, nodding when asked if Xi’s name should also be enshrined, then saying he had to go. Adding Xi’s name to the constitution would put him in an exclusive club alongside Communist China’s founder, Mao Zedong, and the architect of economic reforms, Deng Xiaoping. During Xi’s speech, social media was flooded with images of watch parties across the country, with Communist party committees in areas as far-flung as northeastern Jilin and southern Yunnan provinces. A number of the photos posted highlighted minority audience members such as the Hui Muslims, the Yi, or Tibetans. Images also circulated of young children sitting obediently in their classroom in a semi-circle around a television playing Xi’s speech. By early afternoon, the hashtag #19thPartyCongress# on microblogging platform Sina Weibo had received a mind-boggling cumulative 1.19 billion views — nearly one per every person in the world’s most populous country. As soon as the meeting ended, media outlets and government bureaus across the country peppered social media with the same graphic from the party’s official mouthpiece the People’s Daily: a series of 10 motivational quotes from Xi’s speech pasted next to an image of him at his lectern. “Every one of these is important,” wrote one commenter, expressing a common refrain. “Don’t forget everyone to always cheer on the party!” wrote another. 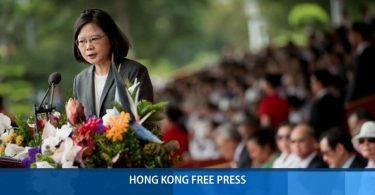 It is unclear whether less fawning social media comments were posted but deleted by censors in a country with one of the world’s most restrictive internet censorship regimes.